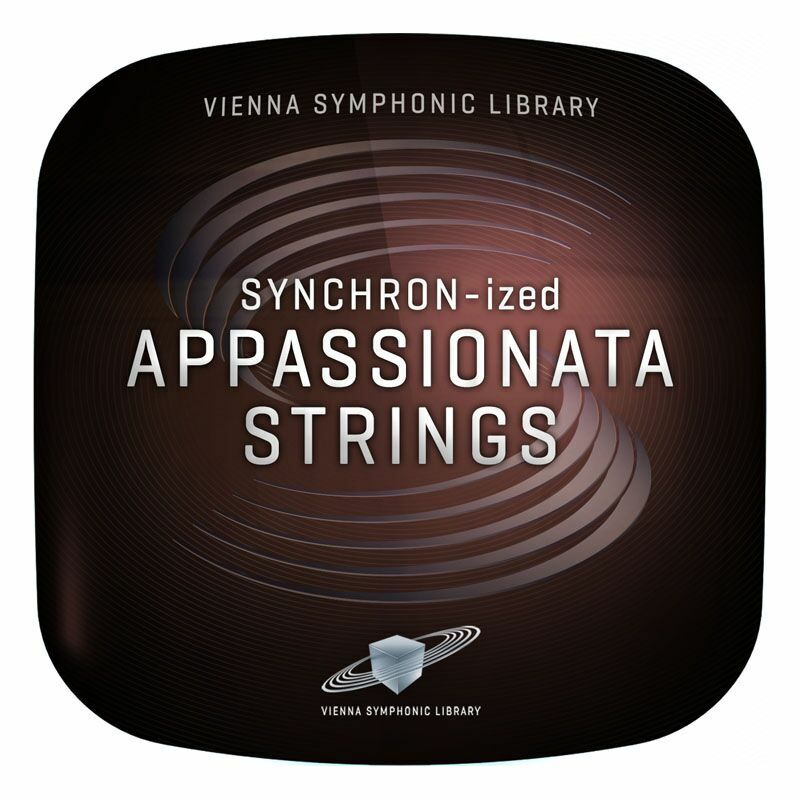 This Collection of large string ensembles brings the lush and broad sound of Viennas acclaimed Appassionata Strings to Stage A of Synchron Stage Vienna. 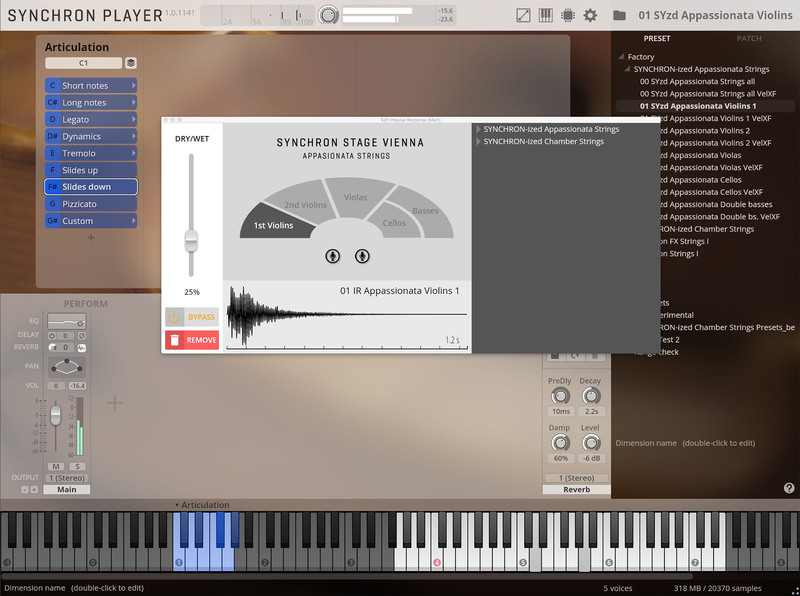 Making use of the new Synchron Player, SYNCHRON-ized Appassionata Strings offers a wide variety of clearly organized articulations, resulting in an unprecedented ease of performance. With 20 first violins, 20 second violins, 14 violas, 12 cellos and 10 double basses, these lavish ensembles lend themselves perfectly well to soaring emotive themes as well as action-packed scores, producing that larger-than-life cinematic sound that Synchron Stage Vienna's film scoring clients are returning to over and over again. The Viennese musicians, famous for their unparalleled string sound, played every note with an attitude and emotion that lives on in this new version of Appassionata Strings. In addition to the previously existing articulations of Appassionata Strings, Vienna's editors added non-vibrato sustains, legatos and portamentos for more versatile and flexible expressive options. The team even managed to improve the already great sounding legato transitions. What's more, new sustains with very soft attacks allow for especially gentle beginnings of notes. 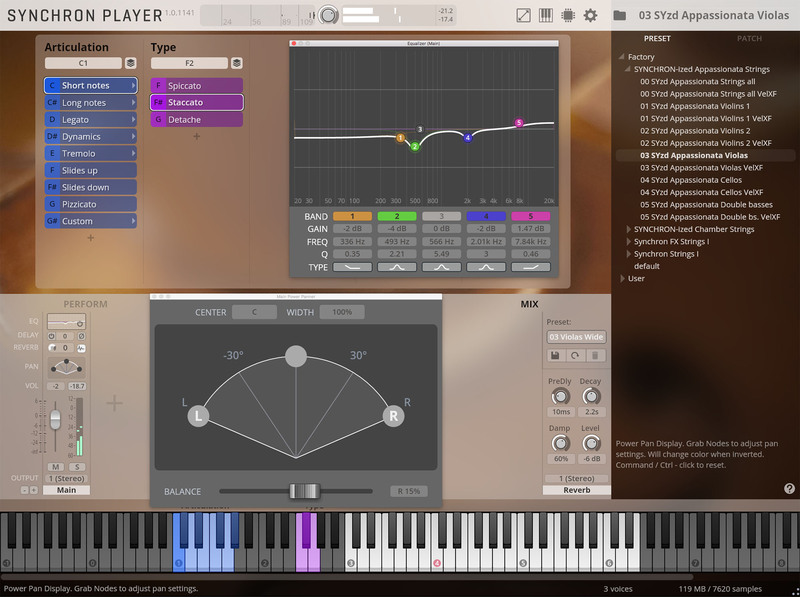 The volume levels of all articulations were completely overhauled and provide perfectly balanced levels not only among the ensembles themselves, but also in interaction with Synchron Strings I and SYNCHRON-ized Chamber Strings. 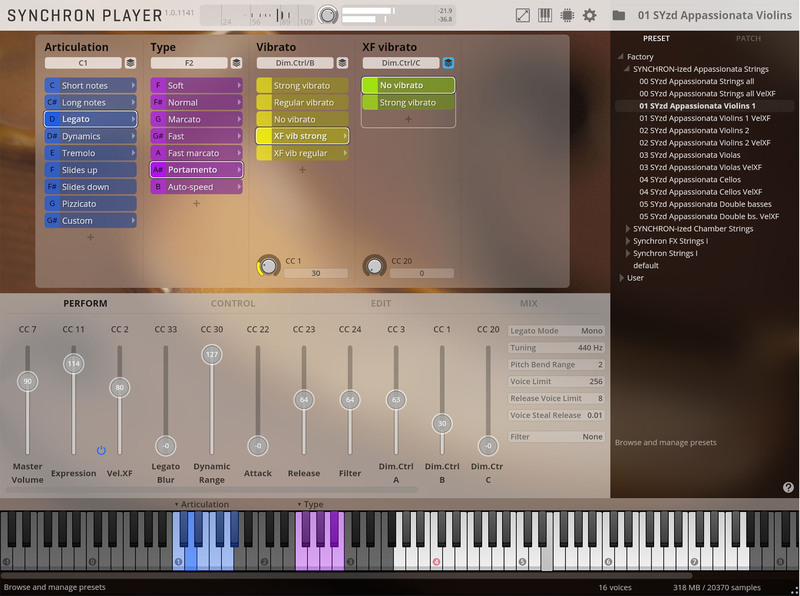 For SYNCHRON-ized Appassionata Strings, Vienna's developers added a specifically designed convolution reverb derived from Vienna MIR Pro to the Synchron Player, featuring the outstanding and unique ambience of the 540 m2 (5,813 sq.ft.) main hall of Synchron Stage Vienna. The perfectly engineered reverberation and placement presets combine customized impulse responses with expertly crafted reverb settings for each group of the ensemble. By adding the ambience of Synchron Stage Vienna's Stage A to the dry samples in real-time, SYNCHRON-ized Appassionata Strings perfectly blend with any other product of the Synchron Series, resulting in a production-ready sound "out of the box".